No Place Like Home: Corporate Jurisdiction & the Future of Forum Shopping, October 20, 2017. A Review of the New Jersey Supreme Court’s Recent TCCWNA Decisions, October 11, 2017. Subway Settlement Objector Speaks Out, September 7, 2017. SCOTUS Case Should Serve as a Warning to the New Jersey Courts, May 23, 2017. Experts Provide An Update on TCCWNA Action, April 18, 2017. Ciattarelli Headlines NJCJI’s Winter Policy Forum, March 30, 2017. 2016 Fall Legal Reform Conference – Fines, Fees & Lawsuits: Does How We Regulate Business Matter?, October 11, 2016. Rules of Law: The Quiet but Important Role Judicial Administration Plays in our Legal System, March 15, 2016. 2015 Fall Legal Reform Conference, Featuring Prof. Richard Epstein, September 18, 2015. Second Annual Legal Reform 101 Event Draws a Crowd, May 18, 2015. Recapping the Oral Arguments in DeMarco v. Stoddard, May 4, 2015. Arbitration Expert Warns of the Dangers of NJ High Court’s Decision, March 20, 2015. Legal Experts Wary of Growing Number of Common Law Lawsuits over FDA-Approved Drugs, February 10, 2015. Recapping the Oral Arguments in Lippman v. Ethicon, Inc., January 21, 2015. 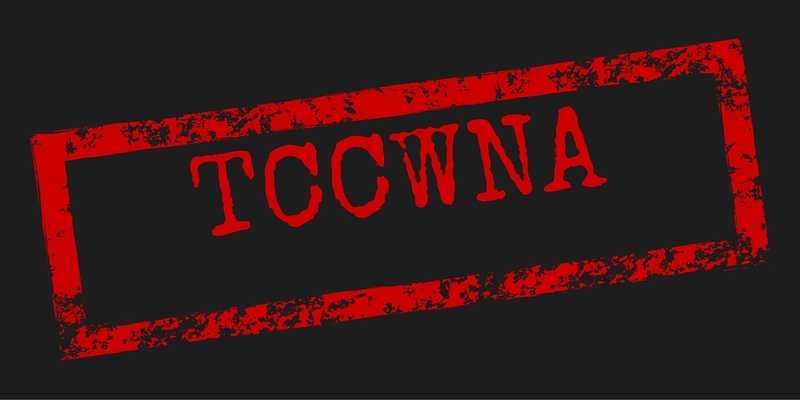 TCCWNA Lawsuits: What is Driving Them and Who is Benefiting?, December 11, 2014. 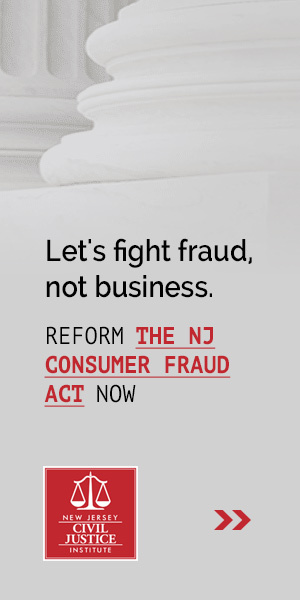 Refocusing on Fraud: The Devolution of the New Jersey Consumer Fraud Act, October 2014. Cases Provide an Opportunity for Justices to Re-Shape State’s Insurance Law, September 11, 2014. Has the Court Killed the Trolls? An Analysis of Recent Patent Law Cases that Encourage Fee-Shifting, July 16, 2014. Changing Landscape of Consumer Class Actions in the 3rd Circuit, June 18, 2014. Deyo Gives Insight into Thinking Behind Proposed Mandatory Pilot Program Seeking to Shorten Civil Trials, May 2014. New Jersey Supreme Court’s Working Group on Business Litigation, April 2014. Crash Course in Civil Justice Reform, March 26, 2014. Rabner Details Ways Business Community Can Get Involved With Courts at NJCJI Luncheon, Spring 2014. The Future of Class Action Litigation, November 21, 2013. The Honorable Roberto Rivera-Soto Addresses Court Vacancies, Fall 2013. Ethical Issues in Attorney Fee-Shifting, July 26, 2013. The Unfinished Daubert Revolution, March 1, 2013. Spring 2013 Luncheon Features Assembly Majority Leader Louis Greenwald, Spring 2013. Fall Luncheon Features Senate Minority Leader Thomas Kean, Jr., Fall 2012. Spring Luncheon Features Assembly Majority Leader Louis Greenwald, Spring 2012. Fall Luncheon Features Assemblyman Joe Cryan, Fall 2011. Rich Bagger, Chief-of-Staff to Governor Christie, Addresses Membership Luncheon, Spring 2011. Fall Luncheon Features Senator Ray Lesniak, Chair of the Senate Economic Growth Committee, Fall 2010. “Winning the Tort War: If it’s Possible in Mississippi it’s Possible Anywhere,” Spring 2010. Asm. John McKeon, Asm. Jay Webber, and Asw. Caroline Casagrande will discuss the Gubernatorial race, the lame-duck session of the legislature, and Governor Corzine and Candidate Christie’s plans for civil justice reform in New Jersey, Fall 2009. New Jersey’s Civil Justice Reform Agenda, Spring 2009. Luncheon Features Remarks by American Tort Reform Association president Tiger Joyce, Spring 2008.